fyi, the 50" is HUGE .... might consider something smaller. I could easily pack my 16 y.o. daughter in the 50"
I was just going to post a question about some of this so I will just tag a long on this post. I read all of whats needed except for the size of the duffle bag. I have been looking at some online, some have wheels some dont they range in size. What would be sufficient? would it be 36" 40" 50" etc? can it have wheels and a handle? Sheffield Mick, did you go to the company sponsored training academy? 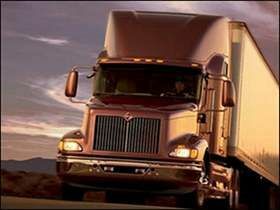 The company sponsored training program has 3 locations that say at these schools you are required to have your cdl permit before attending school and the same schools say you have to pay a permit fee and the school that does not require a cdl before going to school has no permit fee..
Guyjax, I can stay logged in on my smart phone. I have a galaxy s2 and I never have to log in. Ok I think I am going to go with swift for the company sponsored training. I do have one question about their taining academies, some require you to obtain your cdl before you go and some dont. I cant understand why if you already obtained your cdl do you have to pay a permit fee? can someone clear this up for me? Works for me that's all I need to hear! Ok perfect, I truly appreciate all the info, again this is different then my reality. Lets say I was working for Target and we heard class action lawsuit we would all start looking for new jobs immediately because we knew what was coming next. Since swift is on my radar, I havent heard of a class action lawsuit. If someone has more info on this I would like to hear about it. Why is there a lawsuit? and if its class action involving their drivers, Why are they constantly hiring? Wouldn't people want to stay away from this? Ahhh, Charles thanks, are you doing private schooling or company sponsored? What's wrong with swift? and may I ask why you are leaving them, again and for good? Charles, who do you run with? Old School, yeah I'm not sure what I want to do. I do know I want to be out on the road I want to go east coast to west coast north coast to south coast lol... and I didn't think swift did all that. As far s what kind of driving I don't know that either I seem to be interested in dry van but lately I've been thinking about flat bed to. I also think I may have to wait another 2 mos tho. Just to be sure I can pass all tests. That's why I asked for pm's. I don't want to waste my time getting out to a company that is gonna do a certain test that I know I can't pass yet. I figured if people pm me then they could answer some questions more privately. Hi all, I was wondering if anybody who works for these companies Swift, USA Trucking, Millis, F.F.E. Central Refrigerated, and Pam, could p.m. me? I would like to ask some questions that I would rather not have on a public forum. Also any one who might want to answer some questions off the record so to speak! I am just wanting to make a proper well informed decision before I make my choice as to what Company-Sponsored TrainingI would like to give my next year of my life to. Thanks Brett, I appreciate the kind words! Have you ever thought of becoming a motivational speaker? I went to my Psychiatrist tonight and I asked him about my prescribed meds (celexa lamictal and welbutrin) and he said that there shouldn't be a problem with my meds because they are not a controlled substance, but he did tell me to check with a dot certified Dr. to be doubley sure. So I believe that one more brick has been broken in the wall to trucking! True guyjax true! Let me say this will be a life changing experience and I want my experience to be the right one! Thank you Brett, I appreciate it yes, I have looked thru it. I am a terrible decision maker most times when it comes to life decisions. I just finished the High Road Training Program and I feel good about myself. I haven't had this much brain activity since I don't remember when. I finished with a 96%, but with 12 halts. I didn't want to reset my score and start over because honestly if you get halted there is a reason and I welcomed the review questions as I believed it reinforced my correct answers. Now I'm not sure what to do? I cant seem to choose on private or company training. Mostly because of other situations but I digress. I do know that I will get my cdl a permit so when I finally make up my mind I will already have a jump regardless. Also just wanted to thank Brett and the rest of the moderators for a great website, great training program and support that so many receive from all of you!